I'm always fascinated by old english stories where there were castles with kings and queens reigning the country. 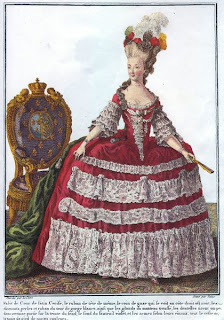 What the women wore at those times always interest me especially the higher ranks women such as the Queen and her courtiers. For those of you who dont' know, a Courtier (according to wikipedia) means a person who attends the court of a monarch or other powerful person. Historically the court was the centre of government as well as the residence of the monarch, and social and political life were often completely mixed together. Monarchs very often expected the more important nobles to spend much of the year in attendance on them at court. 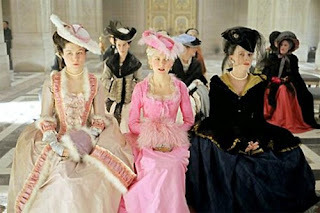 Maybe you have noticed them before in movies such as Marie Antoinette or The Duchess or The Other Boleyn Girl and such, there were always a group of other women who surrounded the Queen at her court palace, that's the Courtiers. 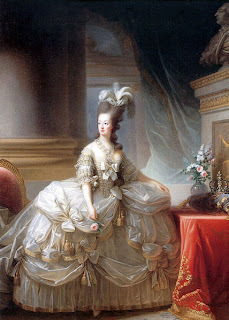 So in honour of Marie Antoinette herself (which despite her tragic stories she has such very good taste in looks), in this post I will be showcasing her pictures which I imagined that the real gowns that she wore while taking her pictures painted were all absolute glamour with intricate details and exotic fabrics in real life. Oh and don't forget the hairdos! The hairdo are also always amazing (although at some point it's more like "ridiculously amazing" ^o^). Imagined how many hours that she need to get ready. And they even made a special edition barbie based on her character! 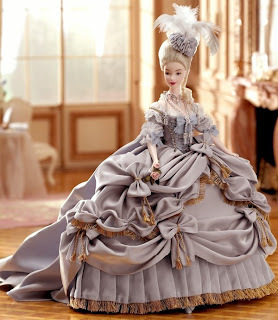 Please welcome: Marie Antoinette Barbie.. Here's another fashionable monarch beauty. 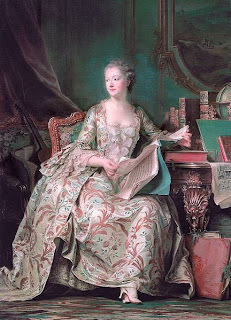 Her name is Madame de Pompadour. 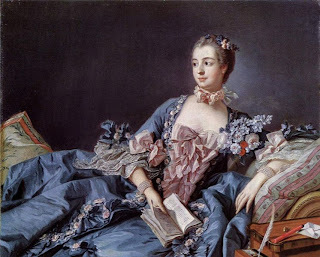 She was the official mistress of King Louis XV. 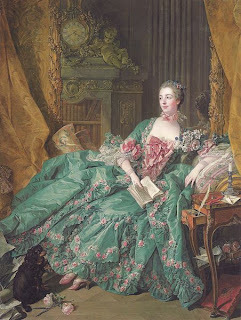 Check out the rich beautiful fabrics of her gowns. I tried to watch this movie on-line but it keep buffering too much, so I'm going to a used DVD store and see if I can't pick it up for under $5 dollars. Fabulous post and pics, darling! Love those paintings and the costumes so... 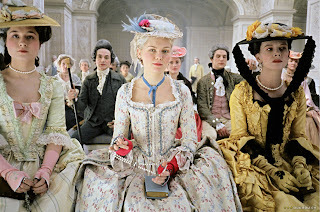 I think I missed my era ~ I would have loved to be a courtier! 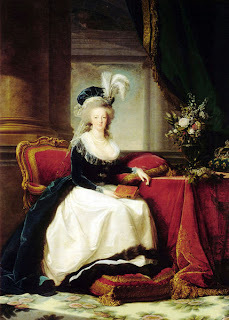 what a wonderful and interesting post... if only we dressed like that today! 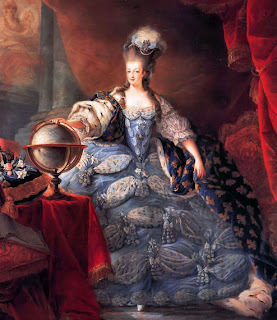 If you wanna rent Marie Antoinette you might as well rent The Duchess because it was said that she (Georgiana Cavendish-the duchess) is the fashion icon of her time. 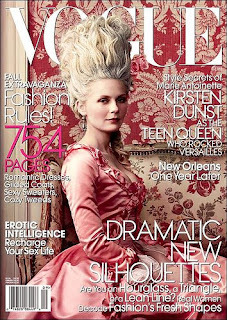 Love Marie Antoinette the movie, the colours food and clothing!!! !